Little expressions of domestic rebellion, somewhere between disruption and innovation. A new way of protection for our goods. 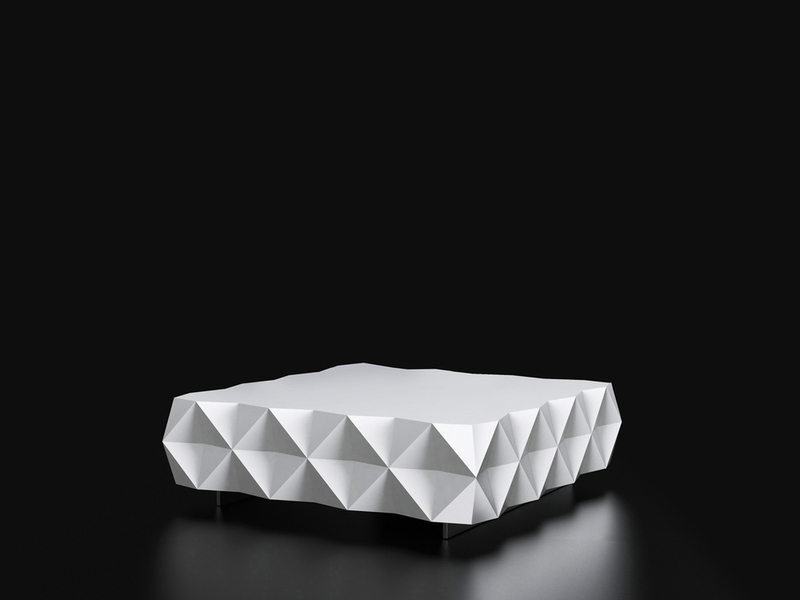 Coffee table from the Rocky Collection designed by Joel Escalona, detailed on its four sides with a pyramidal pattern. Made of particle board and chromed metal legs. Finished in semi-gloss lacquer. Materials / Lacquered particle board with stainless steel legs.